Day 175 - Dress rehearsal #2 for Lacie! Day 176 - Playdate with our favorite girlfriends! Day 177 - Picking up some Blueberries at the farm! Day 180 - water fun at Sesame Place! Day 181 - Paisley is so close to crawling! Day 182 - First taste of yogurt! Day 183 - Having some girl time at our weekly playdate! 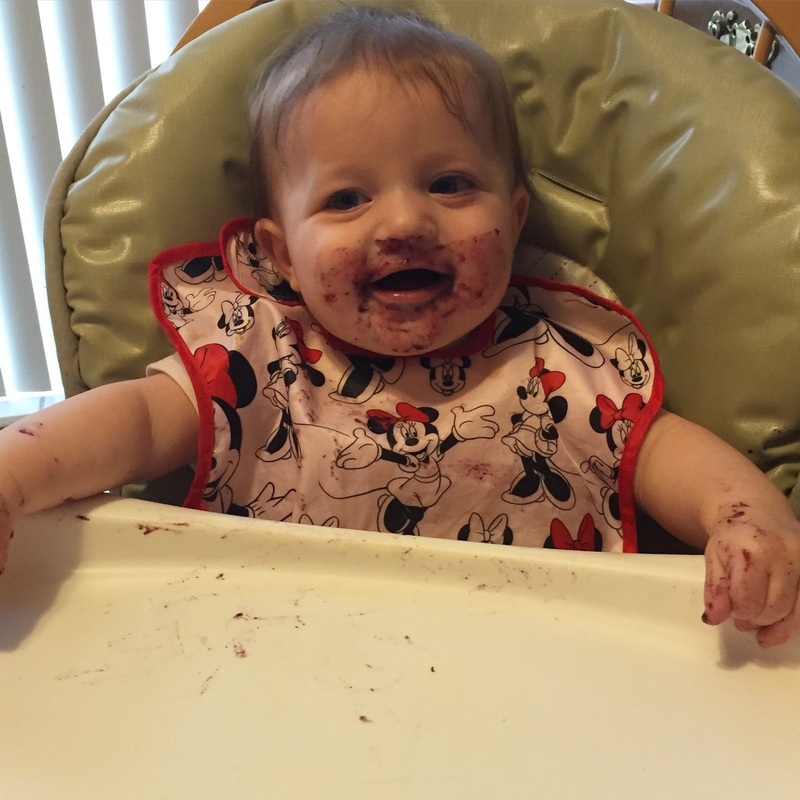 Day 184 - this is the face of a baby who ate her first pancake! 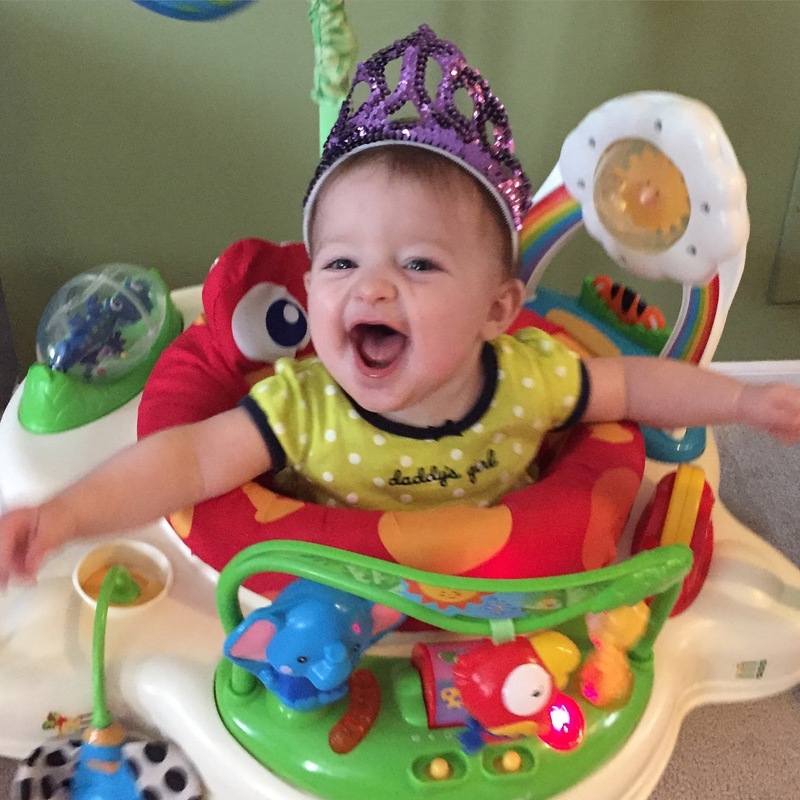 Day 185 - Paisley's First July 4th! Day 186 - sisters make the best friends! Day 187 - She's a fancy baby! 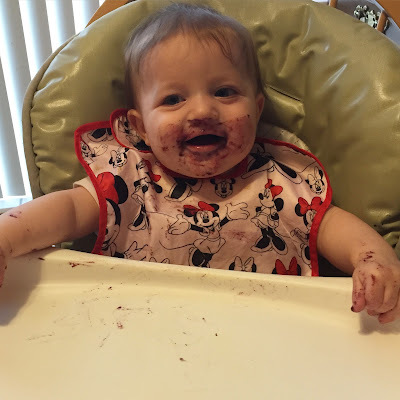 Day 188 - Loving her New Jersey blueberries! 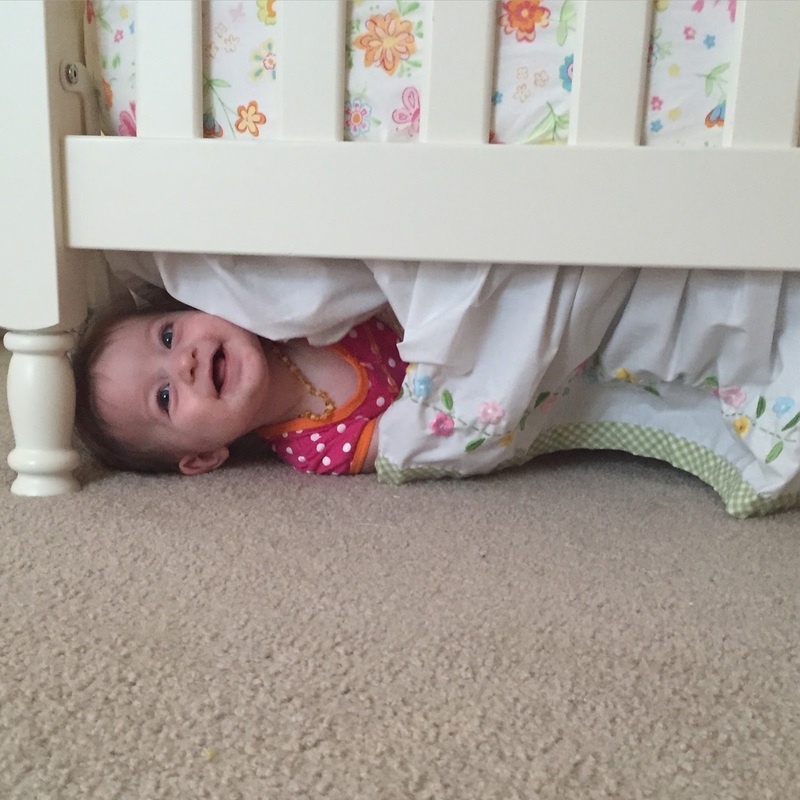 Day 189 - I turned my back for a second and she rolled herself under the crib!